Ups and downs, sweet and sour for Italy’s olive oil production. The olive harvest has just started almost all over the peninsula. According to estimates by Coldiretti and the national Consortium of Olive growers, 2017 numbers should be higher than those of last year but below the average of the last decades. The survey conducted by the Consortium’s market observatory highlights a 50% increase for the 2017/2018 season, having estimated about 273thousand tons of oil compared to 182thousand tons in 2016/2017. But that was the worst year in the last 50. In fact, if we take a further step backwards, to 2015/2016, figures were decidedly higher, 474thousand tons, proving that final recovery in all regions is still far off. The blame, at least this year, lies with the bad drought that caused flowers to drop off and a reduced fruit quantity. In detail, Puglia still brings in 55% of national production. Calabria, Sicilia, Basilicata and Abruzzo are improving whereas Tuscany and Umbria report, respectively, -30% and -20%. 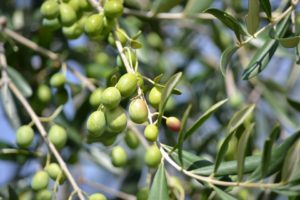 Another significant figure highlighted by Ismea (institute of services for the agriculture market) is the need to increase the number of olive-growing companies that can compete on internal and international markets. At present, only 37 % of them can meet the challenge of products coming in from abroad. And production is still far too fragmented: Italy has 4500 oil mills whereas Spain only has 1600. However, according to Ismea, though on the one hand this increases system costs, on the other, the large number of mills guarantees the great quality of Italian labels.